Social media platforms like Facebook, Twitter, Instagram, YouTube, and LinkedIn are becoming part and parcel of every worker's daily life. They're not only used personally but also professionally. These social media sites are used in the workplace for employer branding, corporate social responsibility, marketing, and recruiting from sites like LinkedIn. You can use social media platforms internally for private company matters like sending instant memos and messages, sharing news and events, or recognizing coworkers. Social media in the workplace makes it faster to communicate which increases efficiency which makes sure the business is running smoothly. For some, social media can be a problem but to others, it can help increase their productivity, bridged the gap between employees and top management, and build relationships in and out of company premises. On the other hand, if social media isn't used properly it can infringe on your employee's privacy rights and destroy the company's reputation. With all this in mind, let’s look at the effects of using social media in the workplace. From time to time your employees need compliments and motivation so that they can be effective in their work. It’s very difficult to maintain concentration on a project for hours on end without a break. Many people turn to social media as a source of distraction to relieve the pressures of the day. Taking a short mental break can increase your employee’s creativity, productivity, and problem-solving skills. Social media promotes idea sharing, instant feedback to questions, and collaboration which saves time and effort boosting productivity. You can allow your employees to access their social accounts during their coffee or lunch breaks. The traditional way of hiring employees is time-consuming and requires a lot of effort which sometimes isn't available. Social media helps you to make quick decisions when selecting the right candidate for a particular position. LinkedIn and other social apps help recruiters know which candidate is perfect for a job since they include their skills and experience on their social media accounts. When tech-savvy companies that have a presence on social media, it shows that they’re transparent and modern which attracts the right candidate for the job. As an employer, you also get to learn more about your potential employee as a person. Social media is a very cost-effective and time-saving investment that you can use for advertising. Social media has made it easy for your employees to connect and find new ways of increasing productivity and increase the awareness and popularity of your brand. You can also subscribe to auto likes Instagram to promote your brand and with each follower like it increases your company sales and your customer base. You can create your own company’s identity by using social media to connect with your customers. Many famous brands have come to existence because of using social media as their advertising tool. Twitter, Instagram, and Facebook are media platforms that can help your business or brand grow and even more effectively when your employees are a part of it. When you empower your employees to become brand ambassadors, they feel invested so they will be more inclined to portray a positive picture to your customers. Happy employees make very good brand advocates. Facebook, Twitter, Instagram, Snapchat, YouTube, etc. are just some of the many social media platforms that can be a distraction to your employees if not used for the right purpose. It’s possible that some of your employees will misuse their work-social media privileges which is why you need proper guidelines on social media activities when it comes to your brand. You should consider things like what kind of information should be shared with the public, how many hours a day an employee can spend on social media, should employees use their social media accounts for work-related activities, and are there consequences of employees complaining about their work on social media. There is always a risk of being hacked, viruses, or privacy breaches any time you use social media platforms. Any time your employees download stuff from the internet it can load with viruses that can comprise the company's system. This is why you need to take steps to ensure your company information is secure to prevent getting spammed, protect you from fraud, and company viruses that can destroy a lot of sensitive and valuable information. This can cost the company a lot of money in repairing and removing viruses from computers. You may entrust the responsibility of handling the company’s social media to someone who doesn’t have the knowledge or skills needed. This can lead them to make silly mistakes like mistakenly sending a private post to the public or revealing sensitive and confidential personal or company information that can affect the company’s reputation and earn you huge losses. This could also happen through a misunderstanding when your company posts content that isn’t well understood by the public. This can lead the public to speculate on what your post meant and have the wrong translation. A disgruntled employee can also use social media to slander the company name and reputation. Cyberbullying has been on the rise in recent pasts. There are tech-savvy people who will use social media for good but there are those who will use it to harass and threaten people online. Your employees can be a target of cyberbullying from your competitors or protestors who will harass and bully them on social media. Employees can also harass their fellow co-workers on social platforms, and the HR department should handle such matters and take immediate action to stop this behavior. You should also have set company guidelines that protect your staff from cyberbullying. Social media is a tool that you can use to increase your brand presence and company credibility in the market. 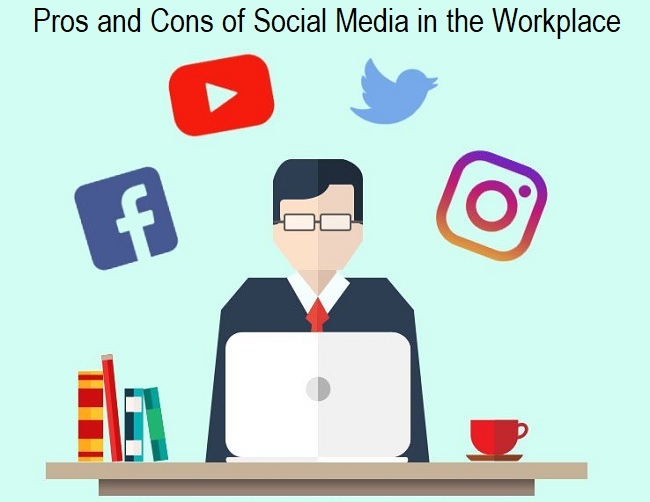 By setting proper guidelines on how your employees can use social media at work, they won’t feel so restricted which will use it properly for the benefit of the company.